This is now the permanent record of my time on the famed (and sometimes feared!) Who’s On The Shelf interview with Nonnie Jules, President and creator of Rave Reviews Book Club, to whom I’m honoured to serve as site content monitor and secretary. r them. WE get personal! Because when you sit on the RRBC “SHELF,” YOU are an open book! Today, I have with me on the “SHELF” our Current “SPOTLIGHT” Author, JAN HAWKE! http://www.youtube.com/watch?v=o8ZnCT14nRc from the “LION KING,” as we know how much she likes jungles! I just want her to feel comfortable…and at home here. NJ: Before we get started, Jan, how does the “shelf” feel to you? Is it comfy? Jan: Very! Although I hope it’s sturdy too – if we hear creaking we’d better evacuate as I’m no lightweight! NJ: Well, I did hear a little something, but I didn’t want to say anything…(NJ puts on her life jacket. Tells Jan she’s a little cold). Let’s start by confirming whether or not your author name is your birth name or a pen name? Jan: It’s my married name. However, I’m about to start using another nom de plume for my fantasy writing – Sîan Glírdan, which is Welsh and Elvish for Jan(e) the Bard (literally a wordsmith) after my fantasy elven role-playing persona – the wordsmith aspect does reflect my birth name a little, as that’s a Scottish variant of the clan name ‘Gow’, which was traditionally associated with the occupation of metalsmithing. NJ: (You know, when I saw that this interview ran into twelve pages on paper, I thought… no, I hoped it was because she had hit the return key too many times, accidentally. Already I can tell Jan’s got a lot to say). Tell us where you were born? Do you still live there now? If not, what city and state are you calling home these days? Jan: I was born in Plymouth in south-west Devon – the last port of call for taking on European passengers for the Mayflower before it crossed the Atlantic in 1620. I moved away to the outer London area (when I got married) for nearly 30 years, but we came back to the South West in 2003 and I now live in a tiny village near Launceston in north-east Cornwall. NJ: We were all very sorry to hear of your loss last year. Would you like to share a bit more with us? Jan: Yes, I am recently widowed – 2016 would have been our 40th wedding anniversary so I may do something special to mark the day with some close friends and family. NJ: Again, we were, and all are, still here for you, Jan. You’re not alone. So, do you have any kids? If yes, how many? Sons or Daughters? Jan: No human children – I do have 2 fur baby sons, Toby and Benji who are English Springer Spaniels (well, Benji’s a collie cross-bred, but his nature’s all spaniel!). They’re a handful, but I love them dearly. Jan: LOL! No, they won’t be reading this! I have to say that it’s Toby – even though he’s the youngest, and the one who gets into trouble most. He’s been with me longest, since he was just out of puppy-hood and is still just a big baby. They’re both rescue dogs, so they came to us with those names, but they do suit them. Jan, what’s your favorite food? Jan: Ahhh – well I have a sweet tooth, but my big vices are for chocolate, strawberries and meringues. I do love Italian cooking as well, so pasta and pizza are favourites. I like most things really, although I’m not keen on leafy green veggies – that’s mainly due to my upbringing, though. My mum used to boil anything green to death – with bicarbonate of soda, so it all tasted like stinky green slime! I still have to swallow sprouts whole – if I try to chew them, they just won’t go down! NJ: Jan, I’m a green veggie lover and was about to run and enjoy my green smoothie that I have chilling in the fridge now, but you may have ruined that for me. Try not to ruin this next one for me, OK? Tell us what your favorite color is, please. NJ: Before I even heard your response, I said it was green! #Promise! WOW! I’m really good! So, do you have a favorite sport? Jan: Ugh! Not a sporty person at all. Most team sports are anathema to me – although I sometimes indulge in watching large, muddy, muscular men playing rugby during the wintry UK months… I quite like the gladiatorial spirit of tennis occasionally, but that may have more to do with the tradition of eating strawberries and cream (and possibly drinking fizzy wine) while I watch the Wimbledon finals. NJ: Jan, you’re going to make my eyes pop right out of my head with these responses. Can you give me a simple one to my next question? What’s your favorite TV Show? Jan: Very, very difficult one (looking nervously in Nonnie’s direction…) It’s a toss-up between The Big Bang Theory and Game of Thrones – so, whichever’s running the newest series. NJ: OK, that was a lot less confusing than your response to my sports question, that’s for sure! Who’s your favorite Actress/Actor? Jan: One of each? (shuffles into the deepest recesses of the shelf, away from that edge…) Meryl Streep and the late, great Alan Rickman. NJ: I love Meryl! You can scooch back over now. Are you a couch potato or workout nut? Be honest. Jan: No hedging – physically I’m a couch potato with extra honey-butter and full metal recliner with reiki massager… Mentally and emotionally, I’m Lucy Lawless in full-throttle Xena-mode! (SMH = Shaking my head). OK, Jan, tell us your biggest pet peeve that makes you want to stomach-punch somebody? (For the record, NJ does not condone violence but she does believe in being honest so she has to admit that there are times when she feels like some friendly stomach-punching is a little necessary). NJ: “People who behave like spoiled little kids?” Have you been speaking to my husband, Jan? Don’t believe a word he says! So, are you neat or messy? NJ: Darn tootin’ you are! Facebook or Twitter? Jan: Twitter – it’s simpler and less time-consuming, plus you can ignore it quite easily (well I can). Facebook is a little too much for me really, although I admit it’s quite useful to have an author page on there to point non-bookish friends to, and for random link ups. NJ: Twitter’s my choice, as well. Jan, name two of the most supportive people you’ve met on either Facebook or Twitter? Hurry and tell us so we can become their friend. Jan: Yes, Nonnie Jules and Harmony Kent. NJ: Oh, scooch back over here, Jan. That was so sweet of you to say, and there’s no way you could ‘accidentally’ fall from way up here after that! Just no way. Now, here’s a hard one…Nonnie Jules or Wonderwoman? Be honest. NJ: (Looking up and down at herself in the mirror) I don’t see any underwires there. What are you talking about, Jan? Jan: Ted Farrar and Harmony Kent. NJ: What is it about them that you’ve come to like? Jan: Ted’s debut novel ‘Dreamers’ is a dark contemporary fantasy that’s at once brutally down to earth and ethereally quixotic, with a large slice of originality. He gave me my very first 5-star review (the first 5-star review he’d ever written too! ), because it took him back to smoky campfires out in the bush with a beer in hand, after looking for strange toads and newts all day! Harmony’s just awesome and always a pleasure to read because she doesn’t get pinned down into any one genre, unless there’s one for quirky! FINDING KATIE is my favourite of hers to date, simply because it’s got the ring of truth about it all the way through, even though it’s subject matter is so dark. NJ: Name two favorite INDIE books that you’ve read. Jan: ‘A Glimmer of Guile’ by my friend Mary Patterson Thornburg. Jan: Dreamers by Ted Farrar. NJ: After you read books, do you post reviews? Jan: Eventually, yes. I was quite organized up until spring last year and always reviewed right after I finished a book, but since my husband died I seem to need to read more and get to the reviews as and when. I’m trying to get a little more disciplined again because I have about a dozen titles I need to write up now, so it’s getting too unmanageable. NJ: Jan, what do you think readers should base their reviews on? Jan: How much they enjoyed reading the book. If the story’s good I can forgive bad grammar and typos up to a point, especially if it doesn’t keep tripping you out of the ‘moment’. NJ: Are you one of those who are afraid to be honest in their reviews lest the author gets upset with you, or is honesty your best policy, especially in reviews? NJ: Read any poorly written books lately? Jan: Oh, yes – more than one! NJ: Where’s your review so I can go and check it out? No, seriously. Jan: They’re not written up yet – they’ll be polite as they weren’t totally awful, and one had quite a good concept that had been mishandled, rather than completely botched. Also too much telling and not enough showing, but everyone struggles with that at times, of course. NJ: Are you an author? NJ: How long have you been writing? Jan: Seriously, since 2005 on Milele Safari, but I’ve always written for my own amusement on and off since leaving high school – way back in 1974 (you can do the math – I can’t say it!). NJ: What books have you written? NJ: Which one do you think is the best? 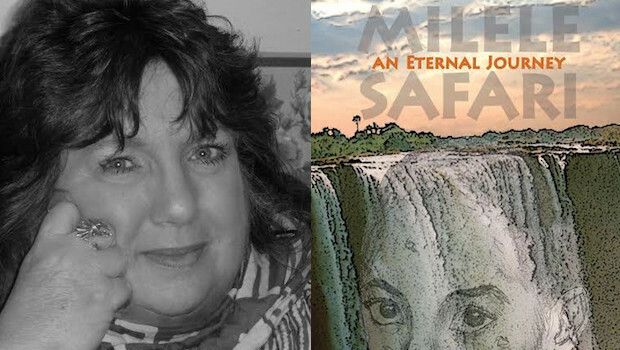 Jan: MILELE SAFARI – I put a lot of myself into that and much of it was written when I’d had some tough times, so I was drawing on some really dark stuff I’d been going through. Plus, it’s about Africa, which I’m just enthralled with. NJ: Do you have a blog or website? NJ: Jan, I’ve seen photos of you wrapped in your fancy furs and the first thing that came to mind: DIVA! LOL! Would you name three great online resources or organizations that every author should belong to? Jan: Of course, RRBC is top of my list, simply because there’s so much you can get out of being a member, as well as helping other folks out, which is always good karma! LinkedIn’s been useful in a very selective and deliberate way, in that I connected with several people on there (like Ted Farrar) who’ve been instrumental in the learning curve of becoming an indie author and publisher, finding a really good POD supplier, and in fact, referring me ontoRRBC too. As a pure resource, I’m split between Wikipedia and Google Earth as research tools – Wiki’s not always reliable of course, but it’s great for getting ideas on where to go and look for proper sources. Google Earth actually helped me map out an overland trip for my characters from Mwanza on Lake Victoria to the Rwandan border in Tanzania, which was really fun to do and gave me lots to work with, including coffee plantations and a gold mine, as well as the beautiful lake and mountains! NJ: Which online resource or organization has helped you as an author the most? NJ: How were you helped by the club, Jan? Jan: I’m unbelievably hopeless at marketing and promo, so joining has helped me to learn how not to be terrified of Twitter, FB and blogging and also got me into making book trailers, which I hadn’t even heard of before I joined. NJ: Since you’re sitting on the SHELF, you’re obviously a RAVE REVIEWS BOOK CLUBmember, so what do you think of the club? Jan: Online communities can be scary places so I’ve always been drawn to more creative ones and even then the ‘clique-ism’ you can encounter is very draining. None of that with RRBC – you find friends and help everywhere and it quickly gets to feel more like a family scene, especially once you get into the support avenues. NJ: I totally agree, Jan. I’m curious to know, have you come across any other online entities like RRBC? Jan: No – certainly not any book clubs, on or offline. NJ: Yes, RRBC is truly one-of-a-kind! Many will try and duplicate but they won’t be able to get it just the way we have it here. Would you recommend it to your friends and family? Jan: Whenever I can decently bring it up in conversation! NJ: That’s great, Jan! 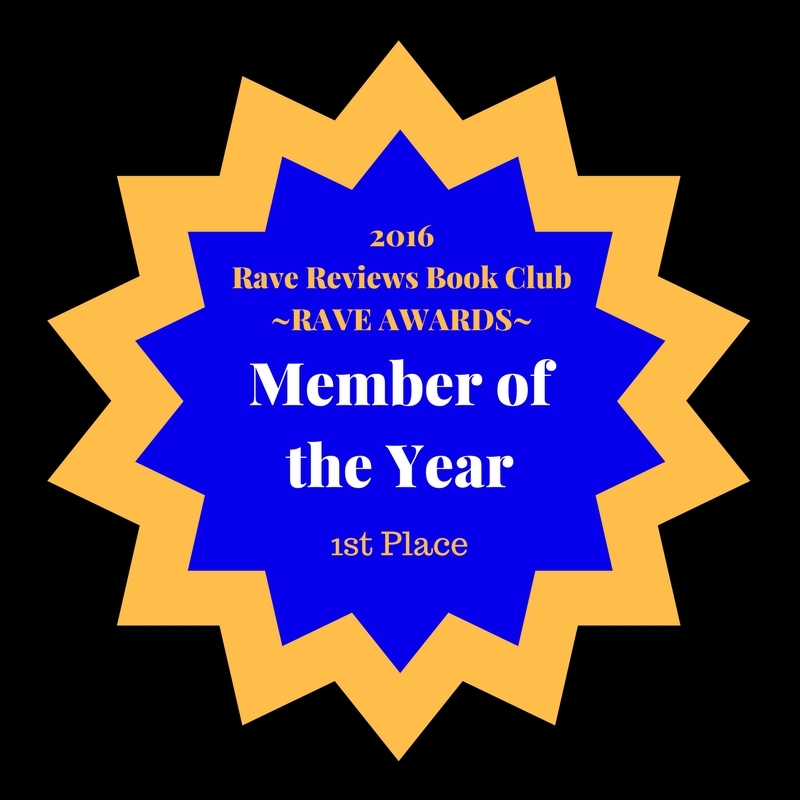 Everyone should remember that RRBC membership is not just for authors, it’s for readers, too! Well, Jan, this shelf is getting hard on my hiney, so we’re going to wrap this interview up. Any final words? Jan: Apart from a huge thank you for having me over, Nonnie, just to say to writers who’ve yet to get themselves published (indie or no), keep doing what you love most and take pride in your achievements, even if the reviews and sales don’t come quickly, or at all. You do a remarkable thing in creating something from nothing every time you pick up a pen, or sit down behind that keyboard. If you feel discouraged and need some company and/or help, then RRBC’s there to give it to you – all you need to do is reach out and you’ll find all the understanding, support and, best of all, friends you’ve always dreamt of! Have you joined Rave Reviews Book Club yet? Well, here’s your chance! And since Jan was on the “SHELF” today, tell them she sent you. Take care and we’ll see you next time, right here on the shelf, with another AMAZING RRBC member!